EUGENE, Ore. – Zak Seddon’s steeplechase race plan for Friday’s final was rock solid, and his execution was nearly flawless. Through the first six-plus laps the Florida State senior and Louisville’s Edwin Kibichiy led the field – minus one – around the track at Historic Hayward Field. With Michigan’s Mason Ferlic running unchallenged away from the field, Seddon was poised to finish on the podium for a second consecutive year. Seddon was unable to match big last-lap moves by Arkansas’ Frankline Tonui, Kibichiy and Oklahoma’s Dylan Blankenbaker, and was clipped by Georgetown’s Darren Fahy in the home stretch. Finishing sixth in 8:38.26, Seddon improved two spots on his 2015 NCAA Championships finish. Ferlic won in 8:27.16, followed by Tonui (8:30.67), Kibichiy (8:30.71), Blankenbaker (8:34.69) and Fahy (8:36.73). “I thought Zak ran an absolutely perfect race through 6 ½ laps,” Florida State coach Bob Braman said. “The plan was for him to shadow his buddy Kibichiy and he did exactly that, but Ed made a move at the bell and Zak missed the moved. Special indeed. Seddon joins fellow United Kingdom former Noles, Andrew Lemoncello (2005-07) and Luke Gunn (2007-08) as the only multi-time first-team All-Americans in the steeplechase in program history. In the immediate aftermath, Seddon was still searching for answers to ways he may have bettered his finish. His three-point total for the team also assured that the Seminole men came away with points at the NCAA Outdoor Championships for a 16th consecutive year, tying for 64th. The Seminole women will head into the final day of competition looking for their first points. Grete Sadeiko stands 16th entering the three-event, final day of heptathlon competition with 3,306 points, just 213 out of eighth place. After opening with a solid 14.06 showing in the 100-meter hurdles, which was 16thin the field of 24, Sadeiko’s podium hopes took a hit when she cleared only 1.63 meters (5-4.25) in the high jump, which dropped her back to 18th-place in the field. The redshirt junior from Estonia, who placed 15th a year ago, rebounded with a season-best shot put performance. Her third-attempt mark of 12.31 meters (40-4.75) was good for 682 points. After a lengthy break in the schedule she closed the opening day by running 25.04 for 200 meters, piling up 883 points. Sadeiko will return to action Saturday at 2:30 p.m. (ET) with the long jump. 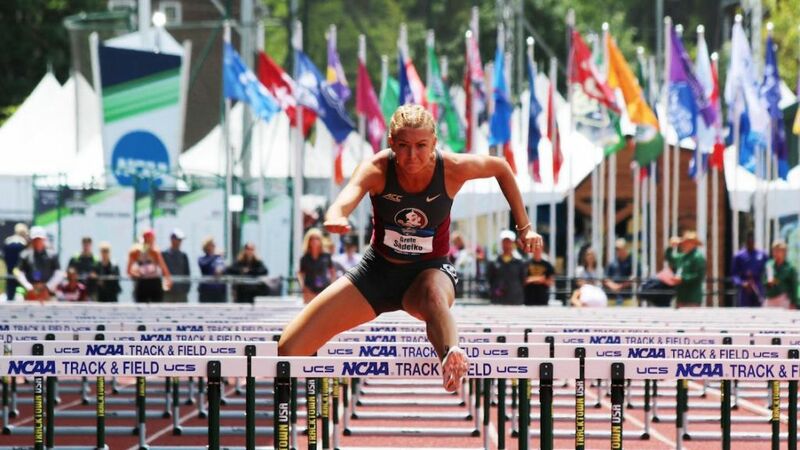 Her Seminole teammates, Kellion Knibb and Sasha-Ann Lebert, will compete in the discus final set for 6:05 p.m.
You can follow Seminoles Sadeiko, Knibb and Lebert via Twitter @FSU_Track, or live on ESPN at 6:30 p.m. (ET).